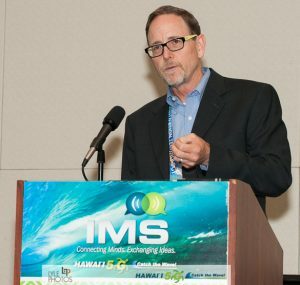 Michael Stewart will present Escape’s views on 5G Backhaul and participate in a 5G panel discussion with experts from Intel Labs, Global Foundries, Kwikbit, and Keysight Technologies at the International Microwave Symposium (IMS2017) in Honolulu on June 6th. Escape will be demonstrating our second generation 10Gbps modem module (ESM-20008) with Filtronic Broadband in Booth 833 from June 6-8. If you are attending IMS2017, please come by the Filtronic Broadband booth for a live demo of our E-band Kit created for OEMs to quickly adopt a complete, carrier-grade, software-defined E-band backhaul product solution complete with RF, modem, and fully-integrated management software.